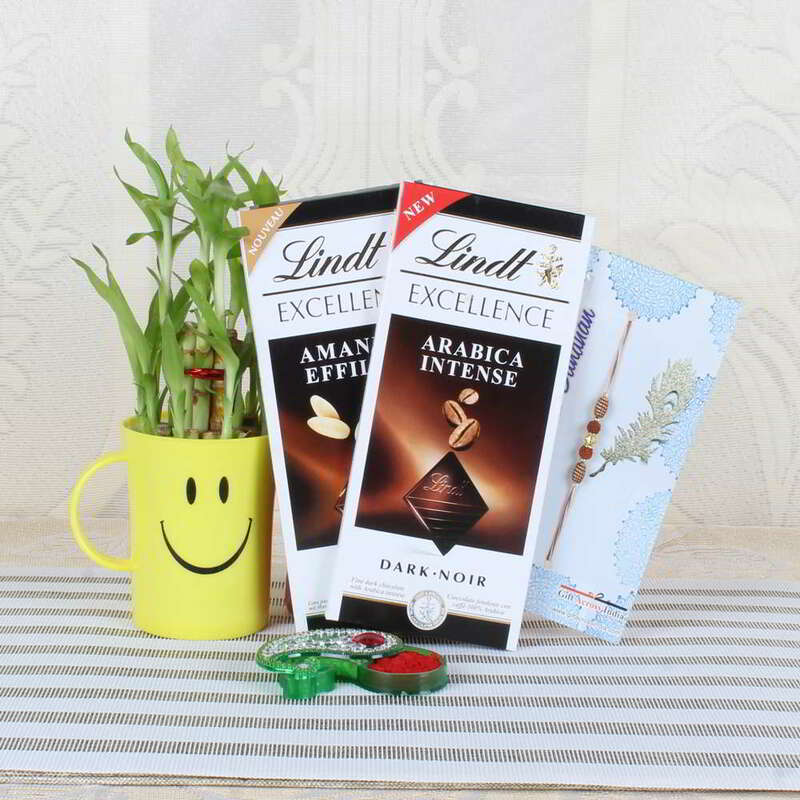 Product Consist: Lindt Excellence Arabica Intense Chocolate (Weight: 100 gms), Lindt Excellence Amandes Effilees Chocolate (Weight: 100 gms), Designer Rudraksha Rakhi, 2 Layer Good Luck Plant in a Smiley Container along with Roli Chawal Container. 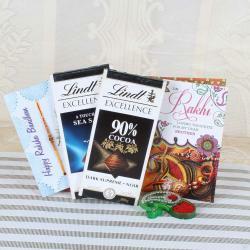 Send your love and blessing for the eve of Raksha Bandhan with this special pack which has Lindt chocolate, designer Rudraksh Rakhi with 2 layered good plant and roli chawal container. 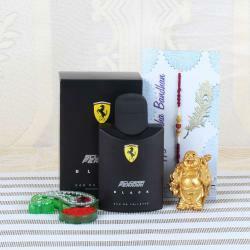 The 2 layered good luck plan is placed in a smiley container looks awesome and will bring a smile on their face. Green color plastic container for roli chawal along with a pack of Rudraksh Rakhi thread packed in a designer envelope made especially for the occasion. 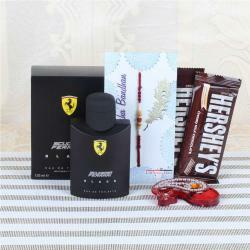 Bring happiness to their lives by sending this amazing combo and touch their hearts with the love and care it has in it. 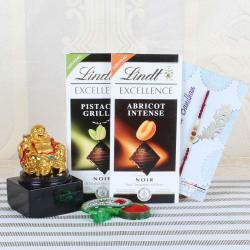 Product Consist: Lindt Excellence Arabica Intense Chocolate (Weight: 100 gms), Lindt Excellence Amandes Effilees Chocolate (Weight: 100 gms), Designer Rudraksha Rakhi, 2 Layer Good Luck Plant in a Simley Container aalong with Roli Chawal Container.